A special thanks goes out to McCatherine Lunsford for nominating Collecting Vintage and Contemporary Jewelry, as well as my networking friends blogs for this neat award. Her support for great blogs and social networking is greatly appreciated. You can view McCatherine's blog here. With the nomination comes some obligations. 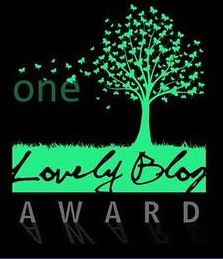 One must thank the person who nominated my blog, link back to their blog. YOU are most welcome my dear Carol! Following analyze a pair of of the weblog posts on your web site now, and I really like your signifies of blogging. I bookmarked it to my bookmark web website report and will probably be checking once again quickly. Please check out out my world wide web internet site as properly and permit me know what you feel. Polyvore Collages are Fun to do. Have you Been to My Facebook Fan Page Yet?